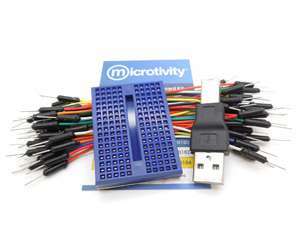 About Mini Breadboard kits: The mini breadboard is ideal for creating small circuits, to be used as a peripheral circuit of a main circuit, and many other ways. They are also nice for use in space-limited circumstances such as placing it inside a box. The included jumper wires can help you to connect different components easily. Wires come in many colors and therefore so it won't be hard to trace the circuit.